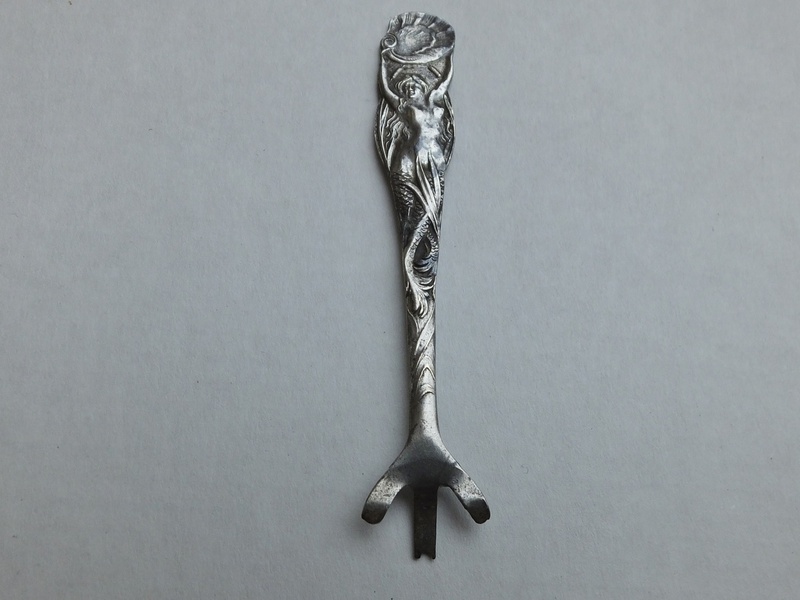 In Silver > Art Nouveau Silver > Show & Tell. When I dug this up metal detecting, I really didn't pay much attention to it, I thought it was just some broken piece of silverware. I know, I know, that's real observant, Chuck. I decided to clean it up a while back, and did some research. 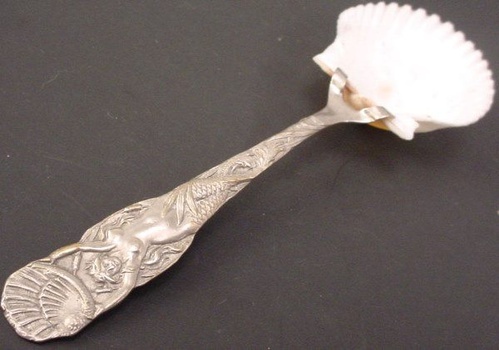 It turns out to be a " US Sterling Co. A1 Art Nouveau Figural Metal Caviar Spoon with natural shell bowl(missing) and mermaid handle." The second pic is what it looks like complete. I actually know nothing about “Art Nouveau”, but I like the looks of it, and it looks nice in my case. This was in a post I did several years ago, but at that time, I had no idea what it was. Very nice. Amazing that you found this metal detecting! Cool story , great spoon !! You just need a scallop shell to make it complete! She's a beauty.